It was a busy 2018 for us at The Blue Walk and we enjoyed every minute. At the end of the year we find ourselves reviewing so many fun times we shared with new and familiar friends and family. We are very fortunate to do the work we do and we are thankful for everyone who has traveled with us. 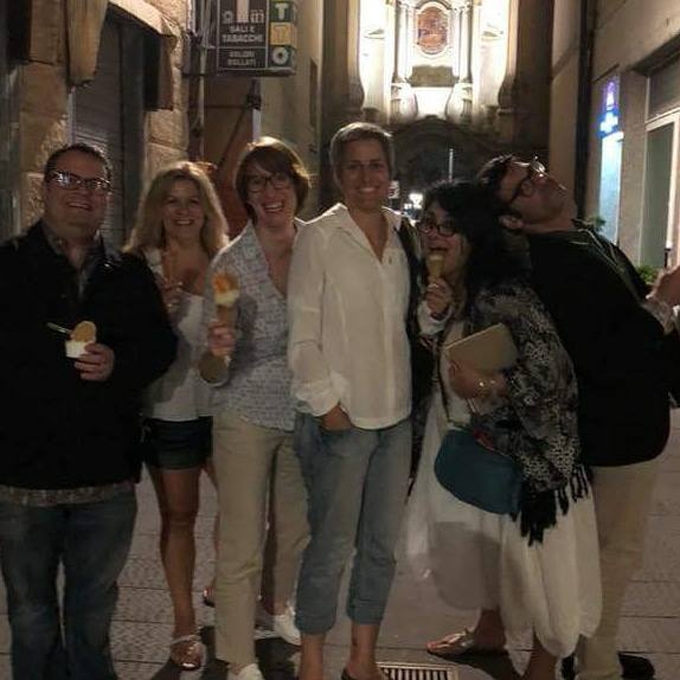 We love bringing our guests to the places we love and seeing our guests enjoy themselves. Jeannette and I are filled with gratitude to be able to share our travel experiences and special moments with you. Thank you!! 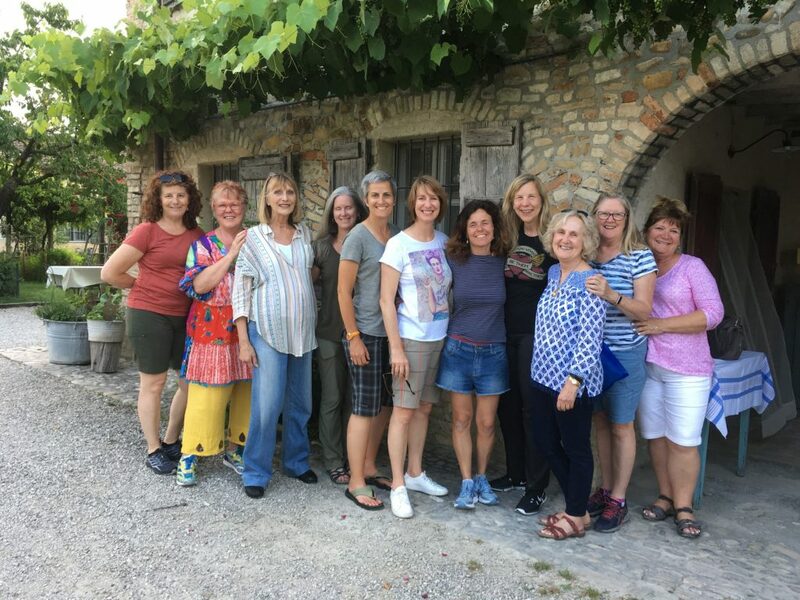 A wonderful group of ladies met on our Art Walk Greece in 2016 and become instant friends. They returned to the U.S., stayed in touch, got together for more art and fun and decided they wanted more. 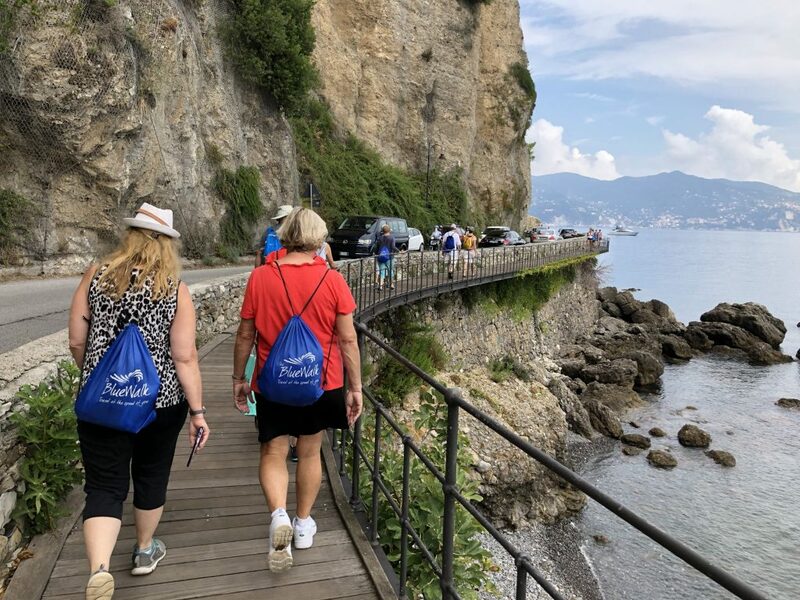 This year they contacted us for a private tour of Italy and we had the pleasure of taking them all over this beautiful country from the Amalfi Coast, to Cinque Terre and the food mecca of Parma. They created beautiful art, laughed, cooked, made ceramic tile and laughed some more. 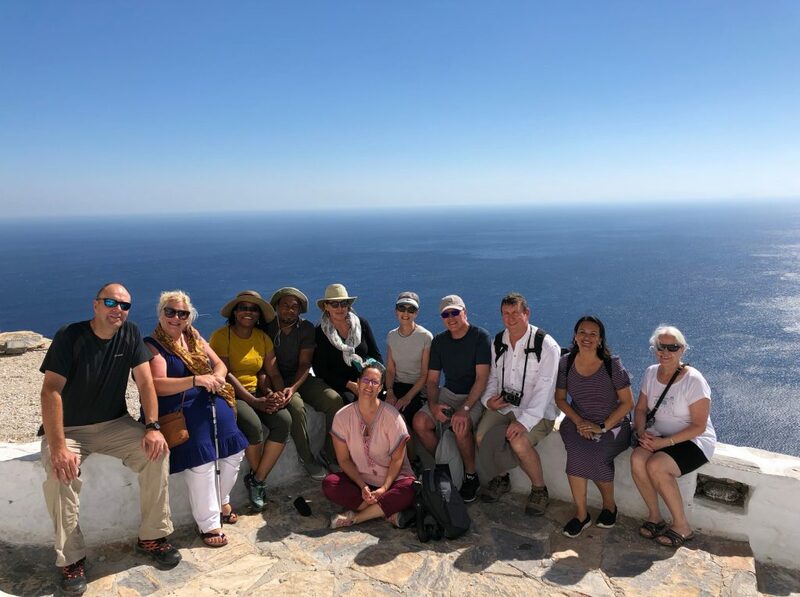 It was so great traveling with this group that has become dear friends and we can’t wait to see them again. Laure Ferlita’s Art Walk group, Paris, France. We had another new Art Walk artist this year, Laure Ferlita. Laure and her students brought their sketchbook journals to Paris and painted their way through the City of Light. Visits to the Paris Opera house, the Musee d’Orsay, and the Eiffel Tower were just a few of the beautiful places these talented ladies sketched and painted. Fun was had by all and we hope to see them all again soon. Unbeatable view from the hozoviotissa monastery in Amorgos, Greece. We were fortunate again this year to celebration many special occasions with our guests. Every guest brought something special to each tour and we are honored The Blue Walk is how they chose to celebrate. From honeymoons, to milestone birthdays to good health, we thank everyone for spending your time with us. We love celebrations, cheers to all! In November Jeannette and I made a quick trip to Pasadena to attend SktechKon. This was an amazingly creative conference put on by Artists Network and Sketchbook Skool with workshops, teachers, performances and lots of fun! We made some great connections and collaborations and have some exciting new things in store for 2019! Watch the interview with Jeannette and Courtney Jordan from Artists Network here. More great walks. A new Blue Walk location, Spain. New Art Walk teachers. And of course more fun, wine and memories. Our 2019 season is already online. Select the button to see where we may take you.